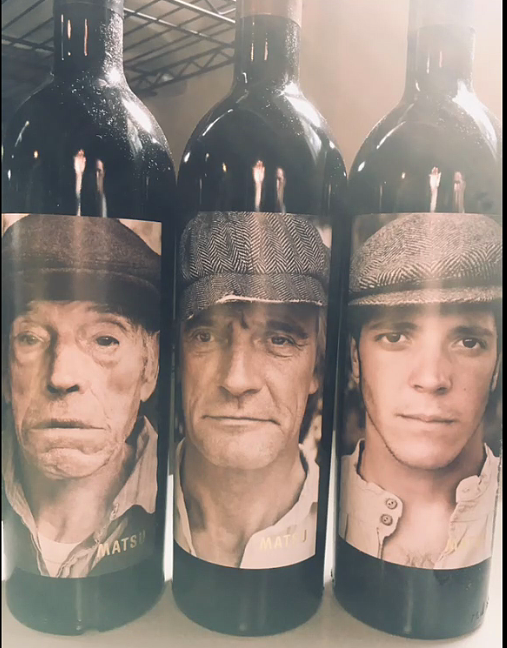 Three wines arrived as samples last month, each with a cool, modern label baring an up-close photo of a farm-hardened man. Though the men on the bottles are different (perhaps three generations from the same lineage? ), I was expecting the wines to taste more or less the same. After all, all are made from the same vintage, by the same winemaker, and of 100% Tinta de Toro (as tempranillo is known in the part of north-central Spain where these are from.) There's also the issue of homogenization, or the miserable trend towards sameness that is lamentably not isolated to wines made the US - too many Spanish wines are suffering under the international, over-oaked influence. But I was in for a surprise. Though they certainly share a common heritage and flavor thumbprint, each of these presents with its own unique qualities. I tasted them in completely random order, and ended up saving the best for last. (No exaggeration on that note: find some of that!) Categorically, you can expect to find strength and poise in all of these wines. There's a tightness to them that suggests patience and cellaring will be rewarded, but there's also enough spatiality in them to let the aromatic luminescence shine through. Still quite closed and coy, but showing the necessary ingredients for finesse after it has a chance to mature and open: mid-weight with a tight, dense core framed by aromatic, bright flowers and herbs, and finishing with chalky tannins. Much more nuanced and quite different from the often blunt wines from this region. Excellent food wine. Inky as it flows from the bottle and intense, dusty black fruit on the nose. Big tannins coat the hidden, but strong fruit core. Wow. Something of a tightly wound powerhouse when first opened, yet very approachable. Despite its brawn, it’s polished and well-made. Think ropa vieja or grilled meat with fried olives. Beautiful ultraviolet nose with just a whiff of savory on the fringes. But just wait until you taste this. Wow. Such poise, elegance, balance, and craft. Each of the components of this wine speak of individual character that combined make up a wonderful, layered, complex beauty. Seamlessly stitched without a drop out of place. Very refined and extremely well done. Wow! Finishes long, with enough fine tannins to suggest improvement with mid-term cellaring. Did I say wow? I’ll say it again. I will try to order over the internet somewhere for these wines because in stores it's hard to find such great quality pearls. I admit that you intrigued me with this entry about them. Labels are also very interesting and if I saw them on the shelf, I would think about whether or not to choose them. Maybe there would be a choice for them? Who knows. Great review, best regards! It is true. The label looks very modern. A man hardened on the farm perfectly reflects the work that was put in to create these wines. A good idea. 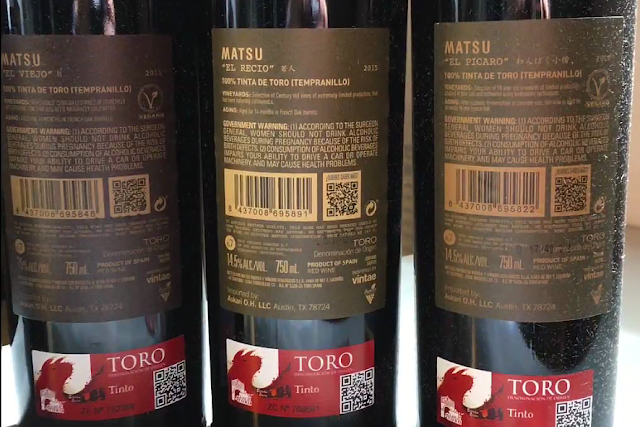 Matsu Tinta de Toro "Picaro" I think the most to your taste and your taste is not discussed. I would like more such reviews of unique products. I am a lover of wine and all the nuances associated with it. Well, let me say that I would like to try such a wine, I am an amateur connoisseur for now I learn a lot and test those wines that fall into my hand some are quite expensive, I can not afford a bottle for a moment. In general, it is very nice to get such contacts to send samples but for now, not yet this level, the balance in wine is very important.